Situated on a quiet, tree lined street near the heart of Hollywood's burgeoning Media Arts District, welcome to your new urban oasis.Upon entering the gated and private front yard, youwill immediately feel at home in this charming and updated California style bungalow. Completely remodeled in 2018, the main house is turnkey with 2 bedrooms & 2 bathrooms + a den/office that can be used as a third bedroom. Featuring hardwood floors throughout;a brand-new chef's kitchen withquartz countertops, high-end appliances and custom cabinetry;the house also offers spa-like bathrooms, LED lighting and a state-of-the-art security system. The en-suite master bedroom has a large walk in closet and the bedroom opens up to the backyard - a perfect place for al fresco dining. There is also a bonus studio/guest house with 1 bedroom & 1 bathroom. Close proximity to Mozza, Trois Mec, Petit Trois and other great restaurants & studios. Truly a must see and a great alternative to condo living. Directions:Between Melrose and Santa Monica; East of Highland. SchoolsClick map icons below to view information for schools near 6618 Barton Avenue Los Angeles, CA 90038. Listing provided courtesy of Michele Shuman, Keller Williams Beverly Hills. Home for sale at 6618 Barton Avenue Los Angeles, CA 90038. 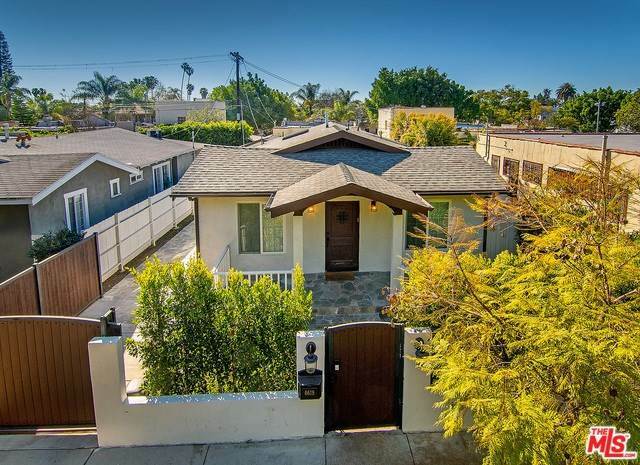 Description: The home at 6618 Barton Avenue Los Angeles, CA 90038 with the MLS Number 19431736 is currently listed at $1,130,000 and has been on the Los Angeles market for 69 days. You are viewing the MLS property details of the home for sale at 6618 Barton Avenue Los Angeles, CA 90038, which includes 2 bedrooms, 2 bathrooms and has approximately 1293 sq.ft. of living area.